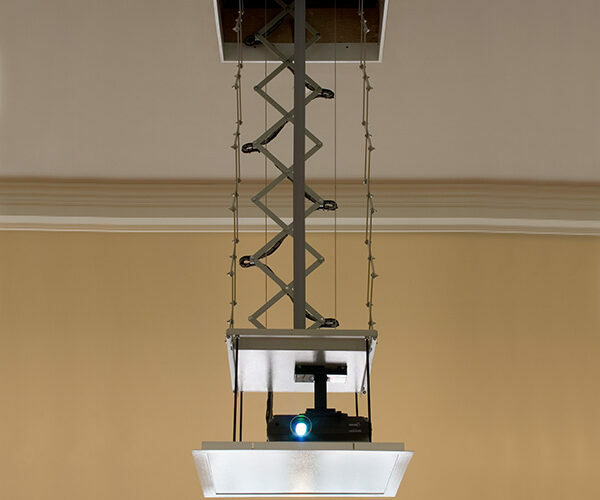 An Access/Series V and Scissor Lift Projector Mount is shown here at the Stanwich Congregation Church in Greenwich, CT. 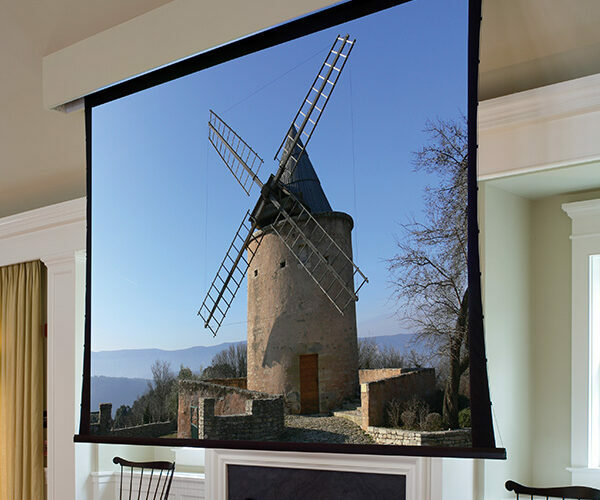 The Access/Series V is a motorized ceiling-recessed, tab-tensioned front projection screen. 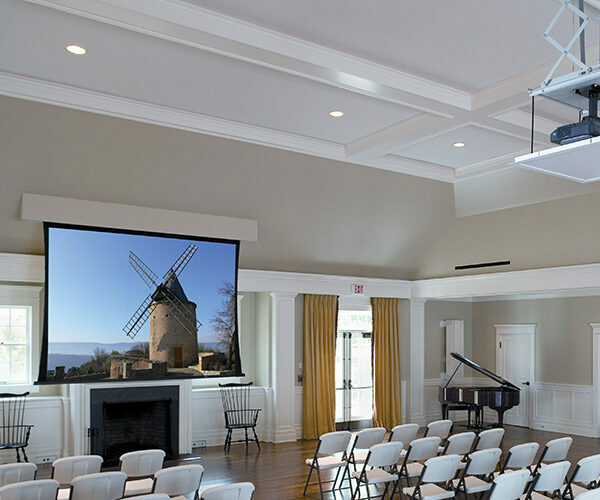 Sleek white extruded aluminum case normally installs above ceiling, but a special enclosure was designed for this installation to accommodate the angled ceilings of this space. 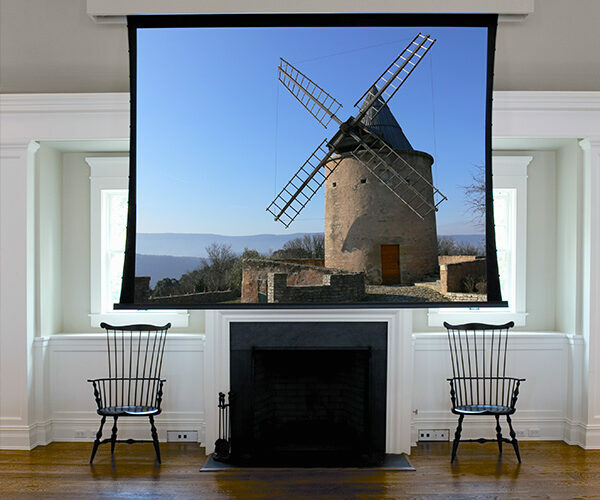 Draper’s Scissor Lift not only conceals your projector above the ceiling and sets it exactly where you need it for a presentation, it also brings it down to within easy reach for service.